Coates’ Captain America remains an odd book. Some of the story threads, like the smear campaign against Captain America, work really well. Other story threads, like a random group of heroes called the Daughters of Liberty, not so much. 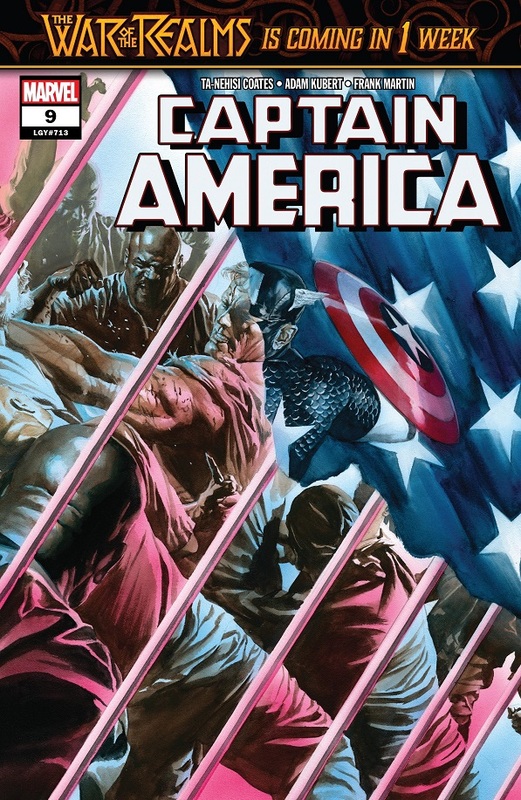 While the Daughters of Liberty and the mysterious member Dryad track down the Foreigner to figure out his role in all of this, Steve Rogers can’t help but try and aid the Wrecking Crew when they’re getting toyed with by the guards. This leads to a full on riot, and Steve is thrown in solitary confinement, where Baron Von Strucker is free to monologue at him. On the outside, after kidnapping Evil Steve, Lukin puts the pressure on Fox News to start blurring the line between Steve and Evil Steve. Having Steve involved in a prison riot helps. I really like the pressure that’s being put on Steve, and how Coates is using Secret Invasion to propel his story forward in really interesting ways. I like how the bad guys are using the Supreme Commander (Evil Steve) to really turn the screws on Cap. I like his interactions with the Wrecking Crew in the prison and how the situation makes them equals. It’s still really weird that Baron Von Strucker is officially and legally in charge of the prison, but I can roll with that. I really enjoy this whole aspect of the story and what it’s putting Steve through. And who doesn’t enjoy a jab at Fox News (called the Fact Channel in Marvel Comics)? The Daughters of Liberty side of things is less interesting. The group still doesn’t make much sense in the grand scheme of things. How long have they been a group using that name? Do they only use that name when they’re secretly assisting Captain America with something? Why couldn’t they all just get together on their own to help Steve? Why just women? Then there’s this new character, Dryad, who I didn’t realize was a new character until maybe halfway through the issue. She looks like Black Widow in a cloak and hood. And everybody kept referring to her in the third person as “the Dryad”, which made me think it was some sort of machine or equipment or something, not an entirely new super-person standing right there. But she gets a big action scene, and a lot of mystique thrown her way, all of it so-far unearned. TL;DR: At it’s core, Captain America remains a gripping series, but a lot of side material — like an oddly portrayed new character — is more wobbly. As enjoyable as Champions is, it’s one of those comics I’m not fully engrossed in because I don’t particularly care about any of the characters. Basically what I’m saying is, not enough Locust! I may be investing too much interest in the Locust, but I feel like Jim Zub will not let me down in this regard. Sam and the gang do battle with his former foe, Kaldera. But when she finds out that he’s no longer Nova, she wants to steal back his helmet so that she can fight and defeat him at full power. Sam is totally down with that plan and goes with her, under the guise of getting her off Earth. He really seems to just want his helmet back and is willing to do this crazy thing to get it. Meanwhile, in Dubai, Miles comes clean about what happened. Kamala is very upset, but Miles says that he’s the one that has to quit, because he’s not sure if any of this is worth it. Elsewhere, Mephisto is watching all of this with his son, Blackheart. Mephisto explains that he helped Miles without payment because this moral dilemma is eating Miles up inside, and that’s exactly the sort of chaos Mephisto likes to spread when they’re young. I dunno, I just couldn’t get into this comic. It’s fun, well-written, with solid art. 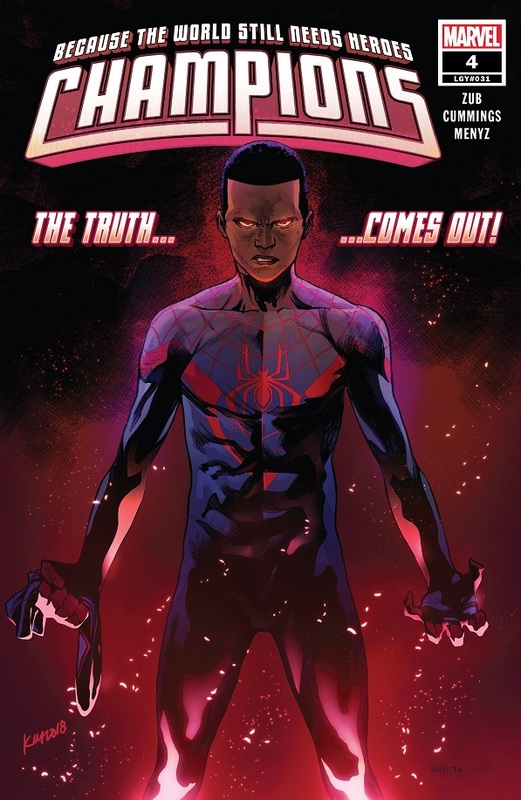 But I feel like it’s tackling too emotional a story with Miles and Kamala for only the fourth issue. And yeah, obviously this iteration of Champions has been doing on for far longer, and the emotion probably has been built up far more than I realize, but I jumped on with the new #1 issue a couple months ago and it isn’t working for me. This is a totally unreasonable response on my part. I know that. Still, I feel how I feel. Like, I love Kamala Khan! But there’s just a disconnect between Kamala in her own series and Kamala in the greater Marvel Universe. Same with Miles. But I do like Mephisto’s reasoning here. It definitely works for the villain and works as drama for the Champions. But the emotional fallout between Miles and Kamala just didn’t work for me, personally. Meanwhile, the other half of the comic really worked for me, with the various Champions members scrambling to figure out what to do with this Kaldera person. Zub clearly had a ton of fun writing the wacky madness of Kaldera, as if the Champions had to somehow contain a feral cat. Zub hasn’t figured out a way to properly incorporate every single member of the rather large Champions team, but when he can get some focus going, it works really well. Dust is quite awesome in this issue and I look forward to her being a prominent character. 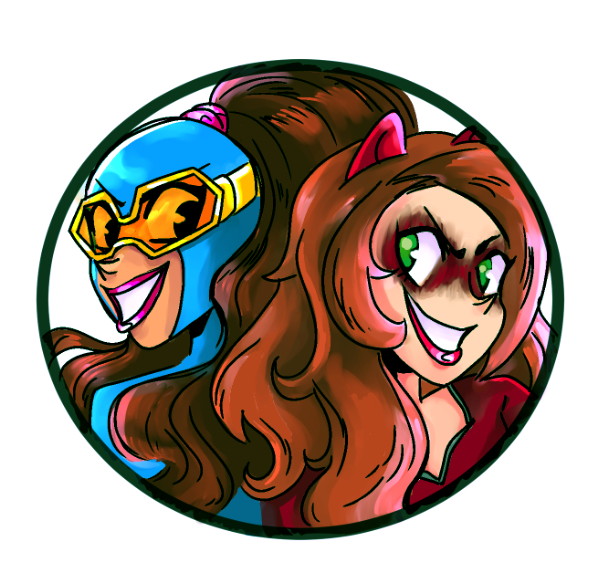 And I would buy an entirely new Sam Alexander Nova comic if it told the story of Sam and Kaldera sneaking into Nova HQ to steal back his helmet, all while bickering and unintentionally flirting. I hope Zub is planning to make that an ongoing subplot. TL;DR: The writing, art and character work are all up to snuff, but I wasn’t able to personally connect with most of the heavy emotional moments. Let’s kick it off! This is another exciting and twisty issue. 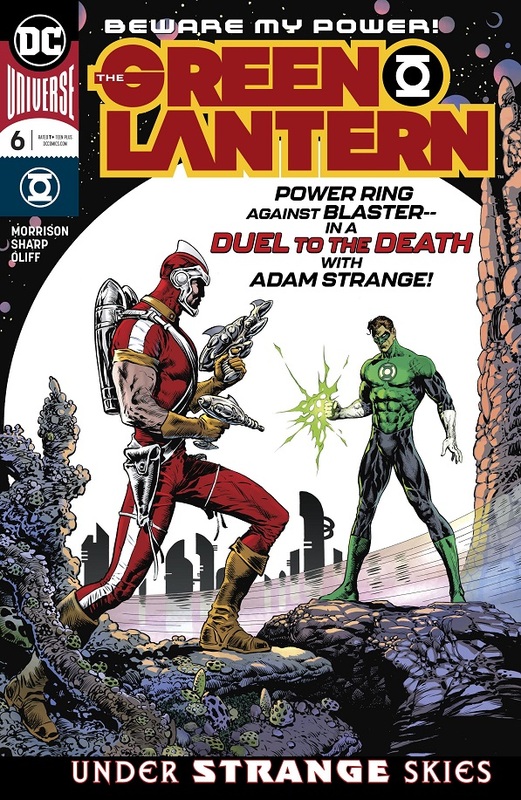 Hal Jordan seemingly kills Adam Strange in an old-fashioned duel, which earns Hal a meeting with Controller Mu. Along with keeping Strange’s daughter captive, Mu is also having trouble breaking into Hal’s GL ring. Mu reveals to Hal that not only does he know Hal is a spy, but Mu also lays out his whole plan: to control a peaceful and loving universe, or for there to be no universe at all. To that end, Mu reveals a U-Bomb ready to wipe out all of existence. Mu offers for Hal to kill him, thereby fulfilling Hal’s mission, but doing so will set off the U-Bomb, thereby fulfilling one of Mu’s plans. They’re interrupted by the arrival of Adam Strange and his wife, who have come to rescue their daughter. Strange’s wife blows off Mu’s head, setting off the bomb. Hal quickly grabs his ring and, I believe, transports both himself and the bomb inside the ring. 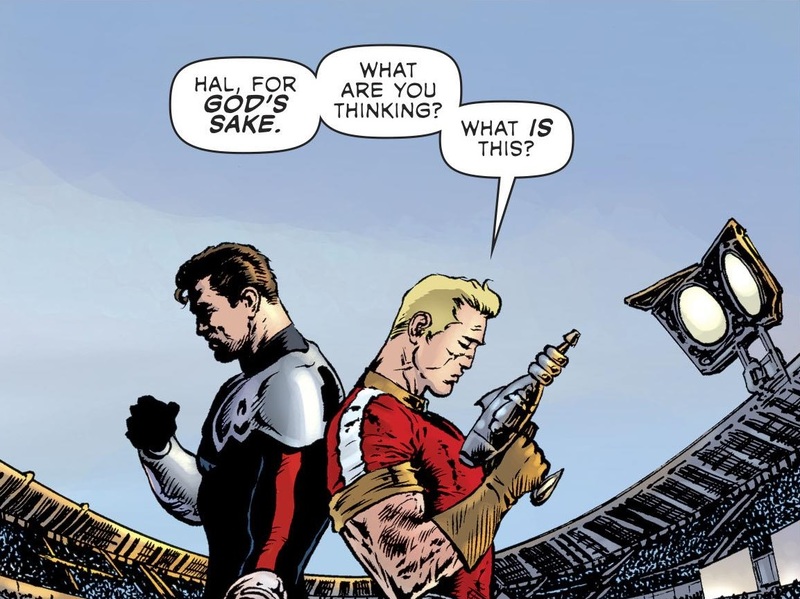 Some time later, Adam Strange speaks at a memorial for Hal, saying that neither Hal nor his ring have been seen since the bomb. We then cut to an amnesiac Hal wandering through a wasteland inside his ring. He comes across the mysterious imp Myrwhydden — who a quick Google search tells me is a classic Silver Age Green Lantern foe who was trapped inside the ring. This was another really fun issue of Grant Morrison’s Green Lantern comic. A lot of this issue was straight forward, which I liked, and there were still plenty of surprises. The showdown with Adam Strange was intense, but a wink from Hal gave the game away that he hadn’t really killed Adam Strange. Of course, it would be foolish to think Morrison would kill Adam Strange in this issue. This whole series is too old school to be that crass. And that old school nature has a solid appeal. But it still cut the tension just a bit. Then the issue had Mu monologuing. It’s a duel to the death, Adam Strange! So there were a couple of little snags here and there that kept the issue from being another great one. But they are barely nitpicks. As a whole, the issue is still really fun and moves the story forward a great deal. Controller Mu killed?! Makes sense. Mu hasn’t really been much of a figure in this story. Belzebeth is the far more interesting antagonist, and she survives the issue. Hopefully she rises up to replace Mu as the one in charge. The end of the issue was also just slightly confusing, but I think I’ve sussed it all out. Obviously I had to Google to find out who Myrwhydden is, and I like the idea of Grant Morrison bringing back some long forgotten classic villains. That seems like something he’d do. TL;DR: The new issue of The Green Lantern takes some really interesting turns, while delivering a fun, old school adventure. And here we go…Actually, first, let’s get everybody caught up. Malekith the Dark Elf sorcerer has been waging war across all 10 realms for many years now. He’s recruited nearly every evil faction and Thor villain to his side, and pretty much had his run of everywhere. Now he’s coming to Earth. Thor is Thor again, but Mjolnir was destroyed in the Sun. Jane Foster is Jane Foster again, and her cancer is in remission. Everybody thinks Loki is working for Malekith, everybody except Loki and probably Malekith. And Beta Ray Bill is off playing Guardians of the Galaxy, so he’s not here, gorramit! Dark elf assassins attack and seemingly kill Odin in the empty halls of abandoned Asgard. An injured and dying Loki arrives in Midgard in time to warn Thor of his own assassins — which Thor defeats with ease — and then Thor forces Loki to teleport him directly to Malekith. Thor and Loki arrive in Jotenheim, the land of the frost giants, where “Loki” reveals that he’s really Malekith. He leaves Thor to fight off an entire army of frost giants on his lonesome. In New York, Spider-Man helps Freya fight off her assassins, and then Malekith’s forces arrive en masse. All the frost giants, trolls, dark elves, fire demons, war angels and more just arrive suddenly in the middle of Manhattan and start smashing and killing. 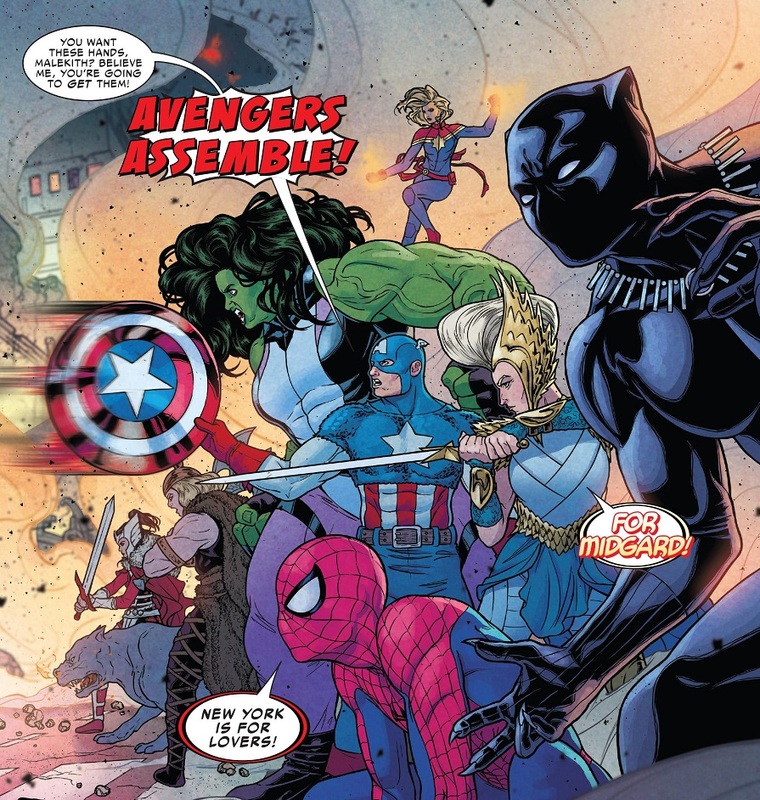 All the various Marvel heroes who are hanging around start fighting back, including the current roster of the Avengers. Before too long, Malekith and his generals also just teleport in to gloat. The real Loki shows up to save his mother, and Laufey just picks Loki up and eats him. Everybody wonders where Thor is, and he’s still fighting frost giants. War of the Realms is off to a solid start…but I would have liked more. That’s a bold claim to make considering how packed full this issue is, and how gorgeous Russell Dauterman artwork is, but yeah, I would have liked a defter touch. There’s nothing subtle or clever about this kick-off issue. War of the Realms arrives like a bucket of water thrown in our faces. Malekith’s army just splashes into New York City like random chaos, leading to a big royal rumble of battle. And then every single evil general shows up in the middle of it to gloat. Has Malekith really succeeded this whole time with blunt force? Does he have no tactics? 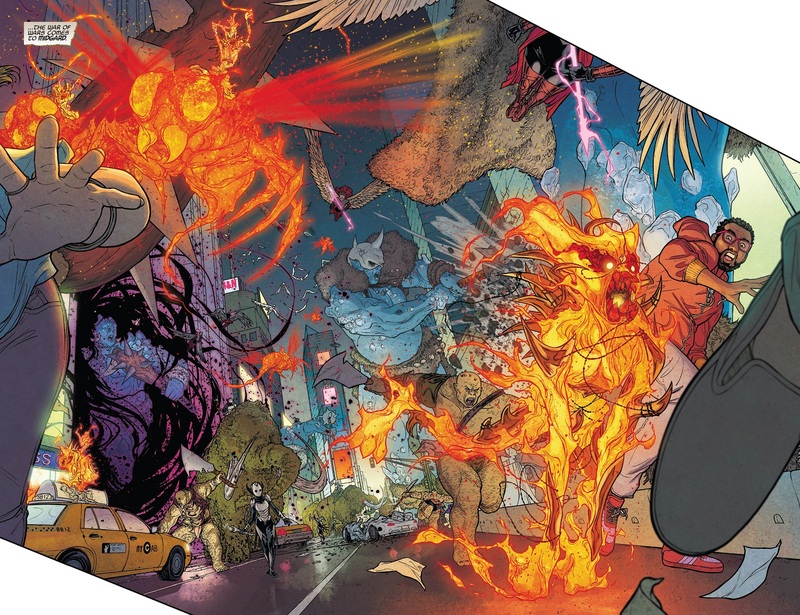 Dauterman draws the hell out of the invading splash pages and subsequent battle…but is one big, messy invasion in the middle of the most superhero-populated city really Malekith’s opening salvo? I hope I’m wrong and am simply counting chickens before they hatch. It’s all big and fun and bombastic, but I would have liked a bit more cleverness to really lift it up to something memorable. Some twist or last page cliffhanger that really showed us there was a whole ‘nother level to this thing. Who wants to take bets that Cap will finally say that in Avengers: Endgame? Take, for example, the “death” of Loki. I don’t believe it for a second. Laufey just picks Loki up, they have a pretty lengthy chat while Loki is just gripped in his hand, and then Laufey eats him. Maybe if the death had come as a surprise to Loki I would have believed it. But there’s no way Loki — who arrived in this comic by telling Malekith that he’d turned his assassins into frogs — just sat there and let himself get eaten so slowly. It’s a really blunt moment that doesn’t land because I know Aaron is better than this. Or the moment where one of the other heroes asks for Thor, claiming that only Thor can defeat Malekith. Really? Based on what? Malekith has been waging this war in the comics since Thor: The Dark World was in theaters in 2013 and Thor has done very little to stop him. Why would Thor be the key to stopping him now? Because this is Thor’s event? Is that the only reason? Are they just going to dismiss all of Earth’s militaries and superheroes out of hand? But hey, nitpicks aside, this is still a really good, entertaining start to War of the Realms. TL;DR: War of the Realms kicks off with big, bombastic and crazy action! I wish there had been some subtlety or cleverness, but the artwork more than makes up for that. How are longtime Young Justice fans reacting to this series? I never read the original back in the day, but this new relaunch is definitely built to appeal to those fans. When the guard harassing Superboy and his family harasses a bit too much, Superboy decides to just punch the guy so hard his armor falls off. Superboy is back, baby! And Impulse is super happy. The other guards flee and Impulse catches Superboy up to what he’s been missing. Then they head off and rescue everyone else from the prison cells, and classic Young Justice is reunited! Also, Jinny reveals that she came to Metropolis with her great great grandfather’s old trunk, which is full of crazy magical stuff that blows up when the Gem guards open it. Meanwhile, we flashback a couple days to Amethyst trying to argue for the various Gem kingdoms to unite against Dark Opal. But the hoity toity leaders aren’t hearing it and kick her out of the council chamber. It’s only by the grace of her friend Turquoise that Amethyst isn’t banished completely. Amy was with Turquoise when the kingdom shook and was re-arranged, which is when Amy found Robin in the castle. Yeah, it’s enjoyable. The big reunion scene of the four core Young Justice members is probably nice. It’s alright. Still feels a bit weird after all of DC’s continuity kerfuffles, that comes can be so circular as to just force the classic Young Justice lineup back together like they were in the past. But Bendis writes the characters well and this team could really solidify into something fun. 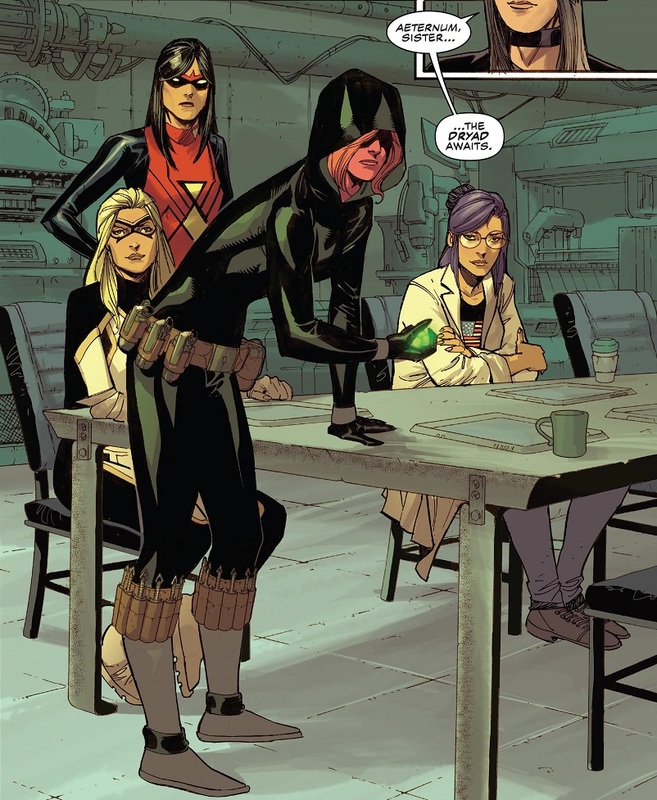 There’s a little trouble getting some of the new members into the action when Bendis has to spend so much time on Gemworld politics, but he’s doing an OK job. Teen Lantern remains a non-entity. But this issue helps flesh out Amethyst’s role in what’s going on, and that part works really well. As does most of Bendis’ characterizations. His Impulse really stands out, though I only read the character in his Geoff Johns’ Teen Titans/Kid Flash incarnation, so this is really new to me. Was this how Bart Allen was before he became Kid Flash? At least he’s a unique and standout character. That counts for a lot. And Amethyst is well on her way to becoming one of those as well. This story continues on its way nicely. 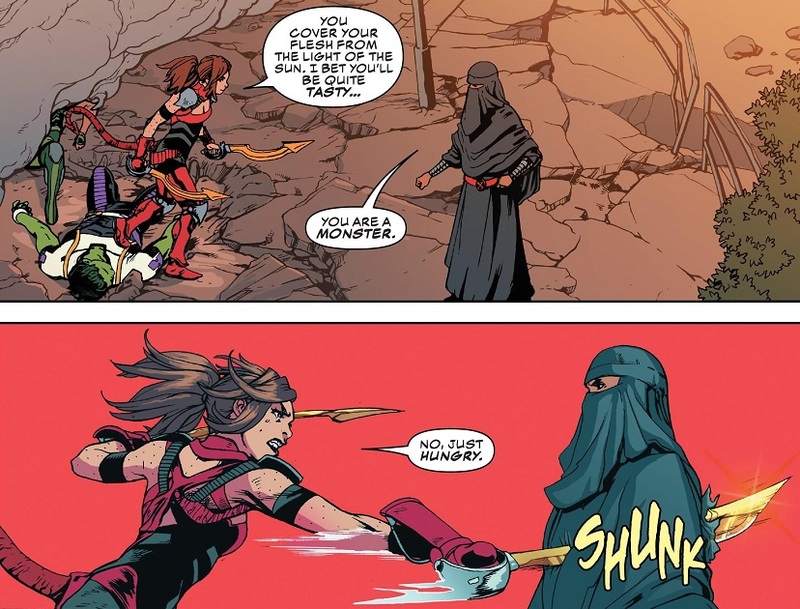 TL;DR: The core of the Young Justice reunion continues to solidify nicely into an OK comic. 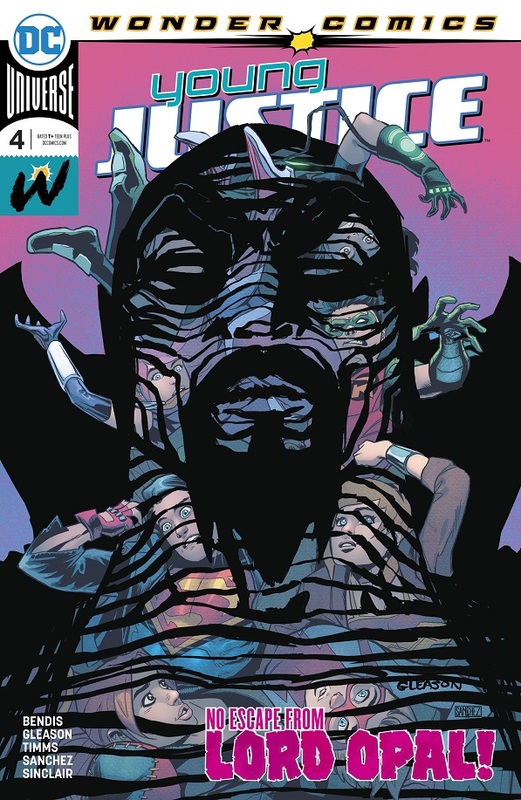 Posted on April 6, 2019, in Comics, DC, Marvel, Reviews and tagged Captain America, Champions, Green Lantern, The Green Lantern, Thor, War of the Realms, Young Justice. Bookmark the permalink. 6 Comments. I felt exactly the same way about WotR. Great review. Thanks! I have enough faith in Jason Aaron to have more up his sleeve, but I feel the first issue of the event should have been the place to reveal something. 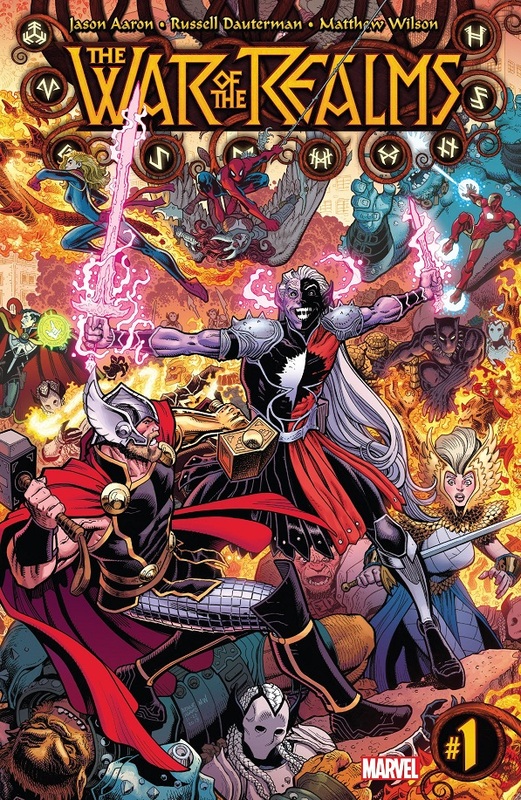 Surely this event can’t simply be all the Marvel heroes punching monsters until Thor shows up and punches Malekith. To answer your question, yes Bart was like this as Impulse. I think he’s the character Bendis writes the best here(Also the best character here) probably because he’s the one that plays into Bendis’ banter the easiest. Awesome, thanks! He had definitely mellowed by the time he became Kid Flash and I started reading him. Captain America is good. I’m not sold on the Dryad yet. She could be cool, but I’m reserving judgment. Champions is really good. Poor Miles. And poor Sam, but in a more comedic way. My thoughts exactly on Dryad. Like I said, I didn’t even realize she was a new character until halfway through the book. I trust Coates to invent some cool characters, but they could have given her a better look and a better introduction.